That's so Interesting! : Young and Livin' the Life! 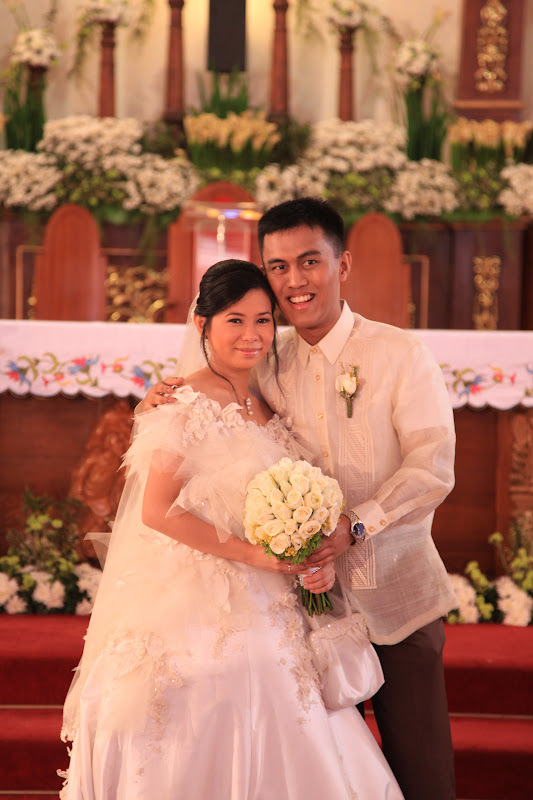 Marlon and Pen Ilagan are living the life most young people, at their age, are still dreaming of. They have barely reached their 30s. Yet, they have achieved a lifestyle that most folks would take years to work for. No, they were not born rich nor did they inherit tons of money from their parents. What's admirable with this couple, is that they worked from scratch everything they have now. Marlon was a junior college student at the Ateneo de Manila, taking up Chemistry and Computer Engineering when his classmate introduced him to a business opportunity at 15th Floor Octagon Building, San Miguel Avenue, Pasig City; which was Nu Skin. “A huge income that comes every month whether you like it or not.” These were words that gave me sleepless nights after I saw the Nu Skin business presentation. The supporting company profile was superb. Their track record was excellent." I signed-up right then and there after the opportunity was presented to me. Pen was a self-sufficient, working student from San Beda college taking up International Business and Entrepreneurial Management. She is an only child, whose parents have long-separated. She was used to taking care of herself and her dream was to have her own business so she wouldn't have to work for anybody. 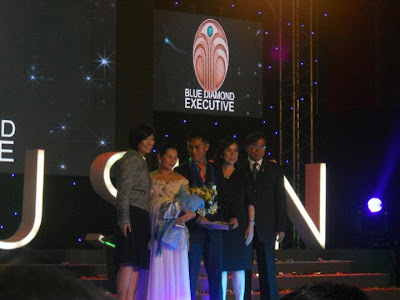 She was introduced to Nu Skin by a friend whom she met in one of her quest for businesses to engage in. The two met at the Nu Skin premises, while each were doing their own thing, carving out their own names in the world of networking. "I am impressed by his being down-to-earth and his ambition to make a name for himself. His family is well-off. He had the best education. He could've taken over his family business as sole distributor of a popular noodle brand in the South of Manila. He could've just accepted any of the lucrative job offers he had after graduating from Ateneo. Yet he had a vision of something bigger. He is a man of big dreams." Pen says of Marlon. While Marlon on the other hand, describes Pen as no-nonsense kind of girl. "She has been through a lot with her family. At an early age, she knows how to earn money and make it work for her. She's very independent. She is not petty and shallow like most people our age. I was impressed by her passion in everything she sets her mind into." Needless to say, the young couple made their commitment to each other for keeps. It was to be a marriage made in heaven. For three successive years in a row, Pen gave birth to their three lovely children, Miko, Maki and Mika. Business-wise, they are having the time of their lives. They travel all over the world, and have established a business that allows the time and financial freedom to enjoy with their kids and friends, whenever and wherever they want to. "Today as Blue Diamonds, we are enjoying our lives to the fullest. Although we are still actively growing our Nu Skin business full-time to greater heights, the rewards are worth it. We get to dedicate as much time as we want to our children without a boss calling us back to work. We get to go on vacation, yet know that our business is still making money. We get to enjoy life, even at a relatively young age." "We truly feel that we are blessed. But, the best thing about this opportunity is that this is possible for everybody. Through Nu Skin, all of you have this choice. This is a choice to work hard for a few years, and then reap the rewards of a lifetime of happiness. This is a choice to focus on being the best that you can be. We urge everyone to make this decision. We all have one life to live, don’t wish for it to be easy, instead decide to make it worth it." The couple barely reached their 30s. Pen is only 24 years old, while Marlon is 28. But with the achievements that they have accomplished, they are certainly worthwhile emulating! The couple shares their thoughts on their experiences on building a network marketing business. CLICK HERE.